This is a special day for the Jesuits, who claim today's saint as one of their own. It's also a special day for people who have a special devotion to the Sacred Heart of Jesus-a devotion Claude de la Colombiere promoted, along with his friend and spiritual companion, Saint Margaret Mary Alacoque. The emphasis on God's love for all was an antidote to the rigorous moralism of the Jansenists, who were popular at the time. Claude showed remarkable preaching skills long before his ordination in 1675. Two months later, he was made superior of a small Jesuit residence in Burgundy. It was there he first encountered Margaret Mary Alacoque. For many years after he served as her confessor. He was next sent to England to serve as confessor to the Duchess of York. He preached by both words and by the example of his holy life, converting a number of Protestants. Tensions arose against Catholics and Claude, rumored to be part of a plot against the king, was imprisoned. He was ultimately banished, but by then his health had been ruined. He died in 1682. 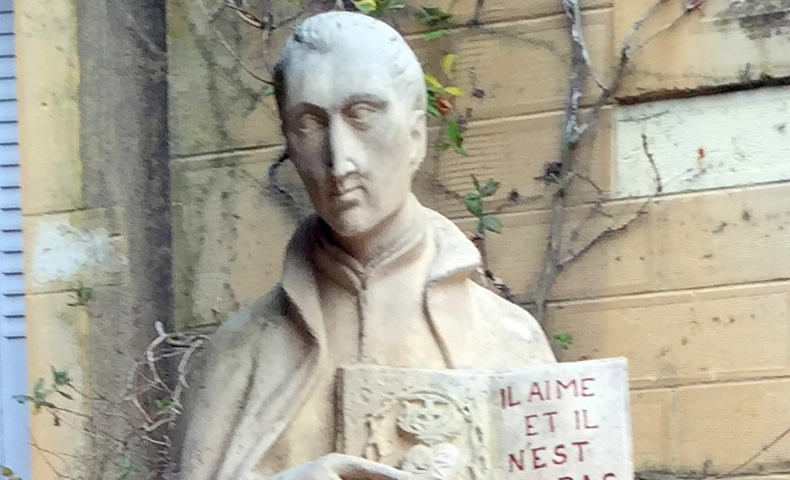 Pope John Paul II canonized Claude de la Colombiere in 1992. As a fellow Jesuit and as a promoter of the devotion to the Sacred Heart of Jesus, Saint Claude must be very special to Pope Francis who has so beautifully emphasized the mercy of Jesus. The emphasis on God's love and mercy are characteristic of both men.